Boyle has put pen to paper on an extension to remain at Brookvale Oval. The post Boyle confirms Manly stay until 2021 appeared first on Zero Tackle. Dragons vs Sea Eagles: Round 6 - Saturday 20th April 2019, 7:35pm at WIN Stadium. The post LIVE: Dragons vs Sea Eagles – Round 6, 2019 appeared first on Zero Tackle. LATE MAIL: The St George Illawarra Dragons and Manly Sea Eagles have finalised their lineups for the match at WIN Stadium. Who are you tipping to win? The post FINAL TEAMS: Dragons vs Sea Eagles appeared first on Zero Tackle. Knights vs Sea Eagles: Round 5 - Saturday 13th April 2019, 5:30pm at McDonald Jones Stadium. The post LIVE: Knights vs Sea Eagles – Round 5, 2019 appeared first on Zero Tackle. The Newcastle Knights and Manly Sea Eagles have both cut their squads to 19 ahead of tomorrow's match at McDonald Jones Stadium. The post Updated Team Lists: Knights vs Sea Eagles appeared first on Zero Tackle. After a family tragedy, Kalyn Ponga has been allowed to miss Saturday's clash with the Sea Eagles, but Nathan Brown says the decision is up to the young fullback. The post Ponga to make call on Sea Eagles clash appeared first on Zero Tackle. Aaron Woods and Tom Trbojevic face lengthy stints on the sidelines. The post Sharks and Sea Eagles suffer major injury blows appeared first on Zero Tackle. And it could mean as many as six weeks on the sidelines. The post INJURY NEWS: Manly suffer major blow appeared first on Zero Tackle. Sea Eagles vs Rabbitohs: Round 4 - Saturday 6th April 2019, 3:00pm at Lottoland. The post LIVE: Sea Eagles vs Rabbitohs – Round 4, 2019 appeared first on Zero Tackle. South Sydney heads to Brookvale Oval looking to keep its undefeated record intact against Manly. 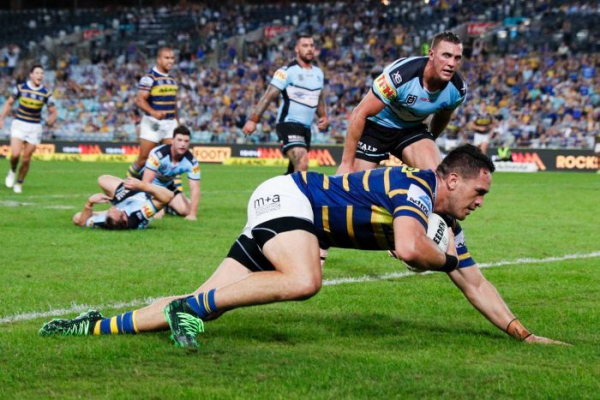 Later, the Cowboys host the Raiders and Eels take on the Sharks. Follow our live NRL ScoreCentre. The Manly Sea Eagles and South Sydney Rabbitohs have both cut their squads to 19 ahead of tomorrow's match at Lottoland. The post Updated Team Lists: Sea Eagles vs Rabbitohs appeared first on Zero Tackle. Sea Eagles vs Warriors: Round 3 - Saturday 30th March 2019, 3:00pm at Christchurch Stadium. The post FULL TIME: Sea Eagles vs Warriors – Round 3, 2019 appeared first on Zero Tackle. 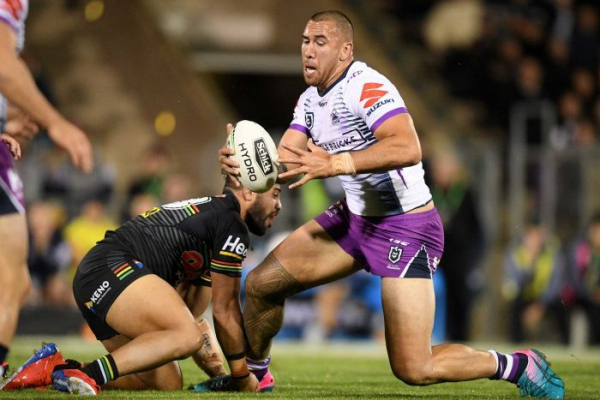 Manly is yet to post a victory in the 2019 season as they face the Warriors in round three, while the Cowboys meet the Sharks and the Panthers play the Storm. Follow all the live scores, stats and commentary.